Manufacturer of a wide range of products which include pillow block bearing, pillow block ball bearing and ucp series bearings. We are the Leading Supplier and manufacturer for Pillow Block Bearing. Our company is successfully involved in the process of trading and supplying a wide array of Industrial Pillow Block Bearing, which is widely recognized for the superb finish, excellent quality, longer service life and efficient performance. 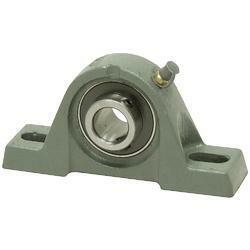 We are the Leading Supplier and manufacturer for Pillow Block Ball Bearing. We are the Leading Supplier and Manufacturer for UCP Series Bearings. Looking for Pillow Block Bearing ?